For anyone new to building their own websites, the process can seem overwhelming. Joomla, a free, open-source content management system, or CMS, makes that process simpler by letting its users either build websites through a what-you-see-is-what-you-get (WYSIWYG) editor or use a premade template. While templates let new users get started right away, choosing the best Joomla templates is not always easy. Before you decide which template is best for your site, think about your audience, your purpose, and your budget. Some websites are made for personal reasons, while others are meant to appeal to a broader audience. A site made solely for a wedding party, for example, will have a completely different design than a site designed for professionals. The best Joomla templates for each will reflect the differences between their target audiences. The wedding template might have more personal touches, while the business template should focus on navigation and ease-of-use. Some templates are clearly meant for certain demographics – a design incorporating a lot of pink, purple, or flowers might be aimed at teens and should be avoided in a business setting, but would be fine for personal use. The purpose of your site determines the level of functionality that you will need. Every site should have some core features, including a clear navigational structure and a layout that is easy on the eyes, but others will vary. Ideally, the best Joomla templates would do everything you need them to, but you may find a few that would be perfect if only they had one or two missing features. If a particular template does not have all of the features you need, you may be able to find a Joomla extension or module that does the job. A photography website should look for a template, or failing that, an extension, that can display photos in an easy-to-navigate format. Other popular extensions can provide e-commerce functionality, display videos, or even let you have full control over how your website is translated. 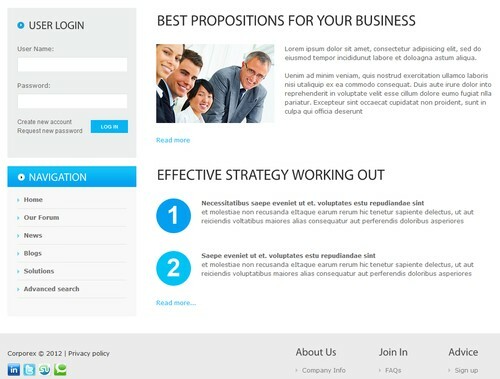 While there are many free templates on the web, you can buy a professional template if your budget allows. These templates often have more features and better support than free designs, but can be quite costly. If possible, look at reviews of a particular company before you decide to purchase one of their themes. The key is to look around before you decide. Although professional designs can be spectacular, you might find that the best Joomla templates for you are free.